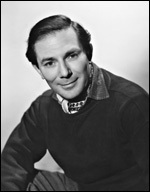 John Paddy Carstairs was born in London in 1910, the son of comedian Nelson Keys . All the Keys brothers ( Anthony Nelson , Basil and Roderick ) were to make their mark in the film industry, but in John 's case only after changing his name by deed poll to avoid charges that he was cashing in on his father's name - Carstairs was his mother's maiden name. He completed his first film, The Hero of St. Jim's , in 1927 while still a pupil at Repton Public School. This helped to get him his first job in the industry as a camera assistant with Herbert Wilcox . It was the start of an intense, wide-ranging apprenticeship both here and in the US, leading eventually to his first film as director in 1933, the thriller Paris Plane . From then, he averaged over a film a year until his last, A Weekend With Lulu , in 1962. Carstairs was the perfect producer's director, reliably turning out well-crafted films, usually thrillers or comedies, on time and on budget. His best thrillers include The Saint In London (1939), Dancing With Crime (1947) and Sleeping Car To Trieste (1948), where he proved adept in conjuring up forbidding atmosphere on a low budget. Indeed, up to this time, the majority of Carstairs ' films had been thrillers, notwithstanding his notable Ealing comedy with George Formby , Spare A Copper (1940). The emphasis changed in 1948 after which he made a straight run of eighteen comedies before completing his final thriller in 1961. This was the excellent The Devil's Agent , a hard-edged Cold War thriller which Carstairs directed with a sure hand. However, it is for the comedies that Carstairs will be remembered. He had the much underrated skill, both as a writer and a director, to transfer stage-honed comic personas to the big screen in sustained feature-length outings. This, coupled with his personal rapport with comics, gave him a string of successes with Charlie Drake , Jimmy Edwards and Frankie Howerd . But it was the five films he made for the Rank Organisation with Norman Wisdom which proved to be his greatest legacy. Carstairs guided the comic through his starring debut, Trouble In Store (1953), shielding him from a background of pessimism within the Rank Organisation . The resulting film triumphed resoundingly at the box office guaranteeing Wisdom 's position as Britain's top post-war film comedian. Outside his film career, Carstairs directed for stage and television, was an exhibited painter and a prolific author of over thirty books between 1937 and 1966, several set within the film-making milieu. He died in London on 12 December 1970 after a period of ill-health.